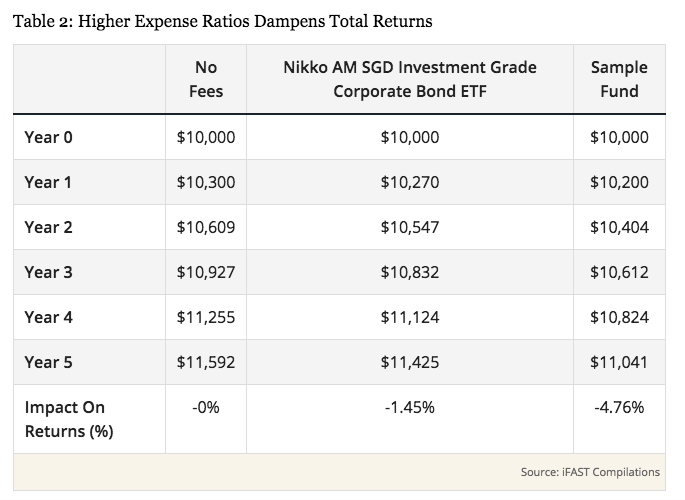 SG Budget Babe: IPO Analysis: Is the Nikko AM SGD Investment Grade Corporate Bond ETF worth subscribing? I've not been the biggest fan of corporate bonds because (i) I'm not always convinced about the reasons given by the company for the need to raise money from retail investors (ii) there's too many horror stories like Hyflux and Aspial and (iii) too many retail investors seem to be drawn to the juicy yield payouts without properly evaluating the underlying financial health of the company. However, the latest Nikko AM SGD Investment Grade Corporate Bond ETF might just be another decent investment tool (and far more superior than any previous corporate bonds such as the ones named above) for those who have always stayed away from corporate bonds for the same reasons that I have. By investing into a basket of corporate bonds, the risk and impact of one company defaulting is much lower compared to if you invest directly into a single company's bonds. After all, you really don't want another "big shock" like the one retail investors got from Hyflux, or see defaults like what Swiber did on their bond payments. Buying into this ETF means you get exposure to over 100 corporate bonds from over 50 companies, which means that even if one of them default, it probably won't even leave much of a dent in your overall portfolio. The constituents of this ETF comprise of several reputable companies that are in relatively strong financial health and unlikely to go bust, such as DBS, UOB, HDB, LTA, etc. I'll go deeper into the constituents in detail later in this article. Of course, the downside of the lower risk in this ETF is that you also get a "lower" yield of approximately 3% vs. the juicy 5% - 6% offered by some other corporate bonds, but would you rather go for a high-risk-high-returns bond option where you could potentially lose your entire capital, or accept a lower-risk investment where your returns are pretty much guaranteed? Your choice. According to The Business Times, it seems like the Monetary Authority of Singapore (MAS) might even be a seed investor in this, although Nikko AM has declined to confirm it. The only comparable instruments that come close to the 3% p.a. offered on this ETF are the SSBs and SGS, but those require a longer holding period of at least 5 - 10 years before you start to see those kind of returns. 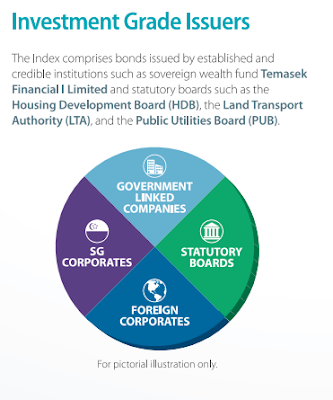 It is generally quite difficult for most average retail investors to access Singapore's corporate bond market, because the typical minimum sum of S$250,000 just for a single bond issue is usually out of reach for many of us. Sometimes, rare opportunities like the recent Astreal bonds appear, but even that required a minimum of $2,000 to subscribe and also carries a much higher risk (since it is on private equity investments). 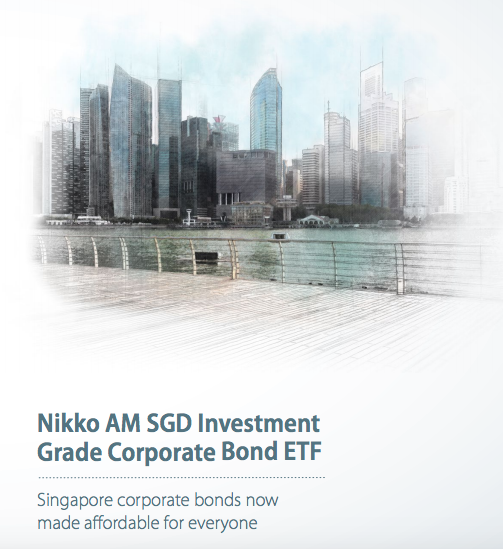 However, the Nikko AM SGD Investment Grade Corporate Bond ETF offers investors the chance to access these investment-grade corporate bonds for as low as S$100. I've never liked unit trusts or buying bonds through Investment-Linked Plans (ILPs) because the high management costs / distribution fees eat into your returns. Many people don't realise that simply paying 1% in investment management fees could easily eat up 1/3 of your wealth eventually as these fees compound to quite a sizeable sum, which is why I've never advocated investing in unit trusts, mutual funds, or any sort of investments through an insurer and prefer to DIY instead. The only costs associated here would be the expense ratio - which is extremely low at just 0.3% i.e. yo pay 30 cents every year for each $100 you invest - and your buy/sell broker fees, which can vary depending on which brokerage or promotional rate you're using. I recommend FSMOne for this if you don't already have an account. 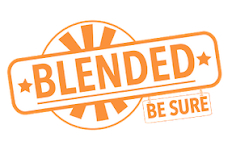 Many of the wholesale bonds which this ETF invests in are generally traded over-the-counter instead of a centralised exchange, so retail investors not only face difficulties in getting access but also in selling it due to the lack of liquidity. On the other hand, this ETF will be traded on SGX so you should be able to easily buy or sell lots when you need or wish to. What am I really buying into? You can view the full prospectus here, view the highlights here lodged with MAS, or the product brochure here. With the exception of Huarong Finance, you'll be hard-pressed to not recognise the other names, many of which are quasi-government agencies or even indirectly backed by our local government as well. It'll be hard for them to fail, and if any of them do, worrying about this ETF will be the last thing on my mind because there'll probably be bigger concerns of the Singapore economy failing or going into a recession instead. In total, there are 102 bonds from 45 issuers in this ETF, with an average coupon yield of 3 - 3.5%. How often will I be paid dividends? What's the quality of the bonds in this ETF? They're mostly investment-grade and large-cap bonds, but do note that 22% of the current bonds are not weighted, such as SIA and LTA. 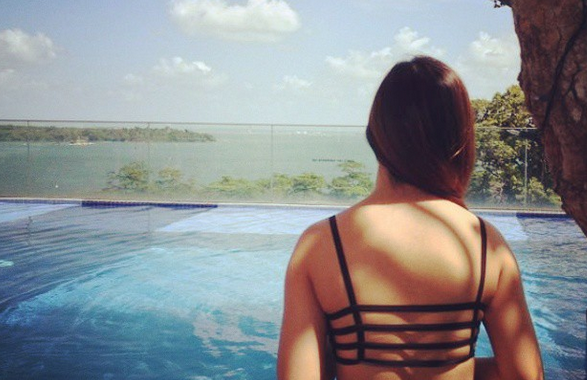 Can I buy this using my CPF funds? No, as it is currently not included under the CPF-IS. However, who knows, perhaps this might just change in the future if the interest in this ETF continues to grow. 1. Not all the constituents bonds are exactly "investment-grade" nor "corporate". The name of this bond may be slightly misleading, since 22% of bonds are unrated and there's a significant portion which aren't exactly what we tend to think of as "corporations" (HDB, LTA, etc). Nonetheless, this is just a personal gripe I have about the choice of name for this ETF, but I don't have much of an issue about the underlying bonds it is investing into, which are actually far more solid than the previous corporate bonds I've reviewed on this blog. 2. If we continue in a rising interest rate environment, this ETF may no longer be as attractive. 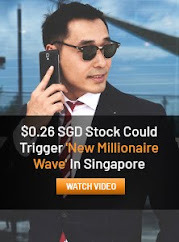 3 % - 3.22% is a decent return for an investment tool that you can trade anytime on SGX, and especially when you compare it to the other fixed-income instruments that I've mentioned earlier. But if interest rates go up, the market value of the underlying bonds will likely drop, which will then also affect this ETF. For those who are unfamiliar with the link as to why rising interest rates are bad for bonds, here's a quick explanation. Imagine you paid $1,000 to purchase a bond with a 3% coupon payout, which then trades on the bond market. Now, should interest rates rise, new bonds may then be issued with higher coupon rates in order to attract investors, so let's assume a newer bond with a 5% coupon rate now gets launched. Since investors can now invest the same $1,000 for a bond with a higher interest rate, they'll be less interested in buying your bond which has a 3% interest rate, so the market value of your bond lots go down (i.e. capital loss). Conversely, if interest rates fall, then that usually spells good news for bonds which would then trade at a price higher than what it was originally bought for upon launch. However, I believe the ETF manager will also continue to invest into new bonds even as this happens, and since these new bonds will carry higher interest rates, we can then watch the ETF's yield go up accordingly. Nonetheless, we cannot predict the future, and as per my previous post on portfolio allocation to mitigate risks across market cycles, there will always be a place for bonds in one's investment portfolio. So is this ETF worth buying into? 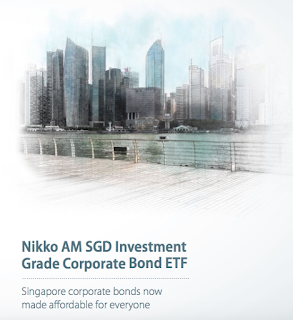 Until better opportunities present themselves, parking one's emergency or excess cash in a mixture of this Nikko AM SGD Investment Grade Corporate Bond ETF with Singapore Saving Bonds and CPF voluntary top-ups certainly sounds like a viable idea to me as part of a multi-asset portfolio management strategy. At any rate, I'd definitely prefer to go for this than most individual corporate bonds! Where can I apply for this ETF? 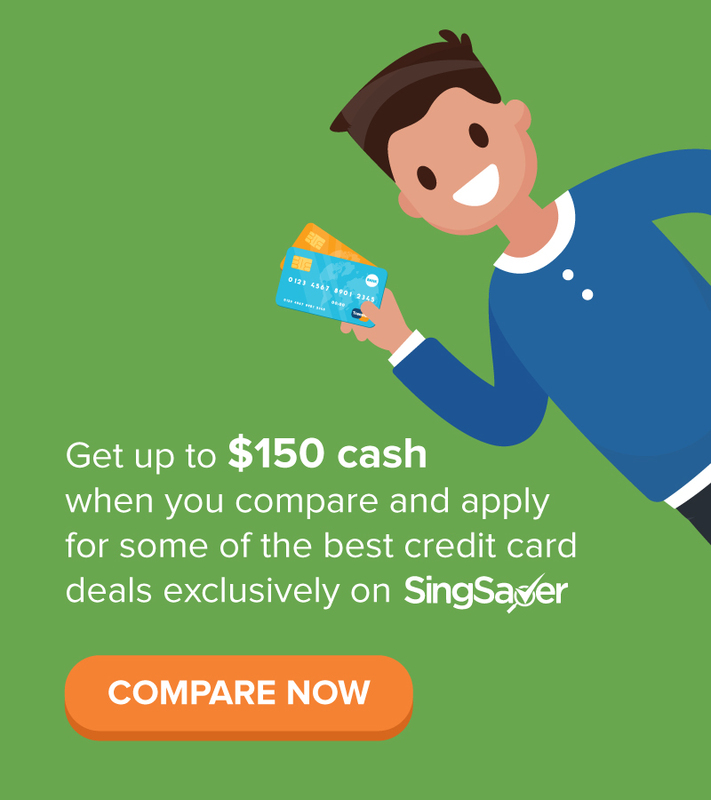 The easiest way would be to apply via FSMOne.com as it only requires a minimum of $100 to subscribe and is also currently running a promotion of 0% sales charge during this ETF's Initial Offering Period from 23 July to 16 August 2018. This means you can enjoy a 0% processing fee to invest into this ETF, as long as you place your order before 12 noon of 16 August. Read this article by the FSMOne.com Research Team to learn more about the NikkoAM SGD IGBond ETF. View the ETF factsheet here. Attend the seminar "Introducing the Nikko AM SGD Investment Grade Corporate Bond ETF" on 1 August 2018, 12pm, at iFAST Financial Pte Ltd, 10 Collyer Quay #26-01 Ocean Financial Centre Singapore 049315. Click here to register now! Don't have an FSMOne Account yet? You might probably want to consider opening one to get access to this bond ETF, as well as a whole suite of other investment products that is offered by Fundsupermart! Head over here to open your free account right away so you can subscribe to this ETF and make full use of the 0% processing fees promotion! If you encounter any issues in getting started, you can also call them at 6557 2853 or email clienthelp@fundsupermart.com for more assistance. What are your thoughts about this ETF, and is there anything I've missed out on? Let me know in the comments below! If get via fsmone, units will go to my cdp or custodian? If custodian, got any hidden fees?